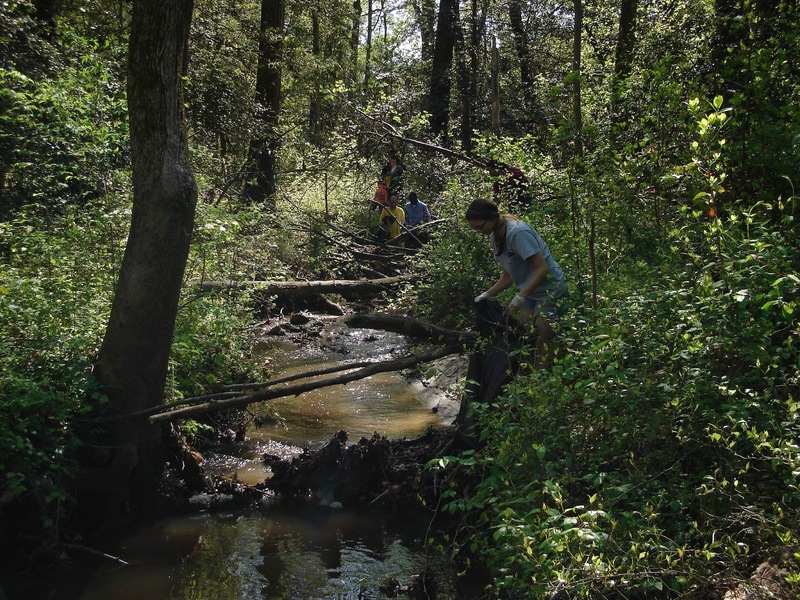 The Reynolds Green Club, along with several other student clubs, faculty and staff, cleaned litter out of “no name creek” at the Parham Road Campus on Saturday, April 26. 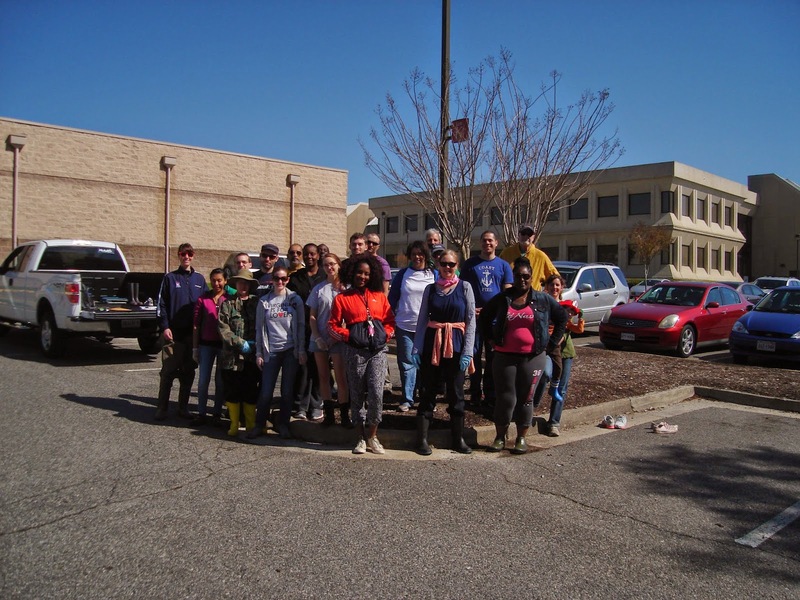 Twenty-five individuals pitched in for this Earth Week event. Despite undergrowth that was very thick and difficult to move through, over 20 bags of trash were pulled out for proper disposal. 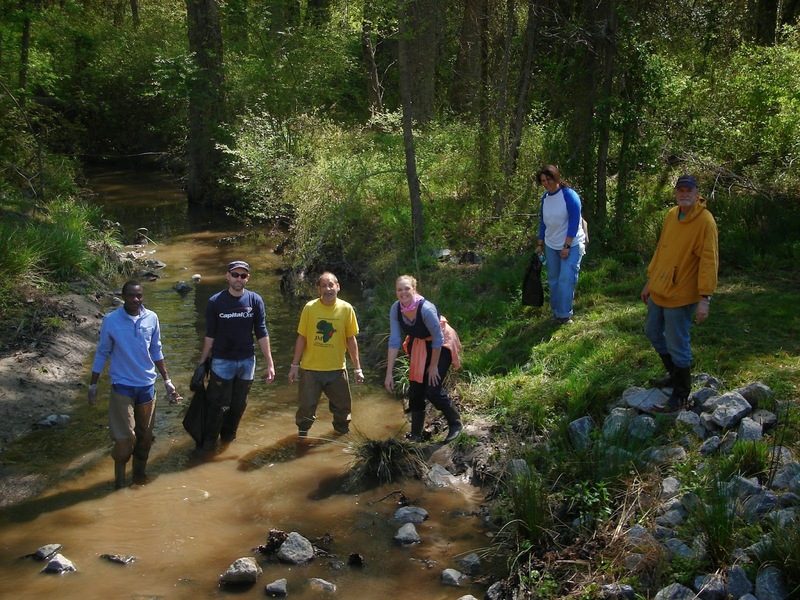 Richard Groover, Assistant Dean of Mathematics, Science and Engineering coordinated and led the cleanup effort. 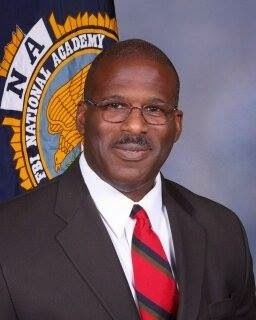 Reynolds Community College Police Lieutenant Milton Franklin recently became the first police officer in the Virginia Community College System to graduate from the prestigious Federal Bureau of Investigation National Academy. Franklin was part of an international group that participated in a 10-week leadership development course that is specialized for law enforcement executive officers. Participation is by invitation only and candidates are drawn from every state, from U.S. territories, and from over 160 international partner nations. At the academy, the students were provided with instruction and facilitation in the areas of leadership, strategic planning, legal issues, labor relations, media relations, social issues, and police programs. Participants had the opportunity to exchange plans, problems, and solutions with their peers; to develop new thoughts and ideas; and to share successes of their own units. Franklin, who has been at Reynolds for over six years, started most mornings with physical training, followed by six hours of class training – over time he participated in seven classes including his favorites “Officer involved in a shooting” and “Active shooter”. “It is important to also be in very good physical shape,” said Franklin who played football at Virginia Tech from 1981-1984. Franklin’s physical fitness test of completing the “Yellow Brick Road” consisted of a 6.1-mile grueling run through a hilly, wooded trail where he was challenged to climb over walls, run through creeks, jump through simulated windows, scale rock faces with ropes, crawl under barbed wire in muddy water and maneuver across a cargo net. The Reynolds Police Department in 2013 became the only Virginia Community College System institution to achieve accreditation status from the Virginia Law Enforcement Professional Standards Commission for its commitment to law enforcement excellence and the successful completion of the certification process through the Virginia Law Enforcement Accreditation Program.